TBILISI, DFWatch–With 490 votes against 76 and 57 absentees European Parliament Thursday approved EU-Georgia’s Association Agreement and adopted a resolution about Georgia with 491 votes against 84 and 63 absentees. The current Georgian president and his predecessor Mikheil Saakashvili were seated just a few meters away from each other, but didn’t greet each other. It was taken note of in Tbilisi that in reference to the EU treaty’s open door policy to membership for all countries geographically located in Europe, a principle laid down in article 49, the resolution called Georgia a ‘European state’, while in earlier treaties the EU parliament has used the terms ‘Eastern European country’ and ‘European country’ about Georgia. 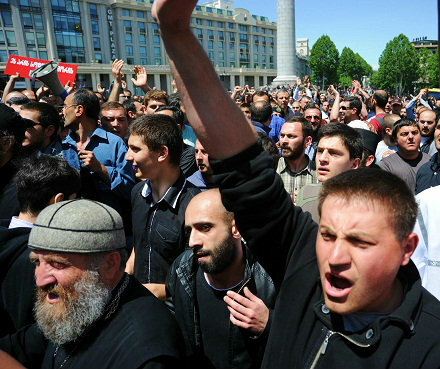 This was interpreted in Tbilisi as an important change which shows that Georgia is closer to membership negotiations than it was in April 2014, when the EU parliament also passed a resolution stating that the countries on its southeastern rim are eligible to apply for membership, but referred to them as ‘countries’. When the EU parliament now refers to Georgia as a ‘state’, some see it as an important political signal. Analysts DFWatch has been in contact with said the choice of word has no legalistic significance, since there is no question that the EU recognizes Georgia as a state, but the word ‘state’ used within the context of the EU treaty’s article 49 may have a symbolic meaning. The resolution also condemns the signing a treaty on alliance and strategic partnership between Russia and breakaway Abkhazia as a ‘step towards the full annexation of Abkhazia’ and calls on Russia to withdraw. 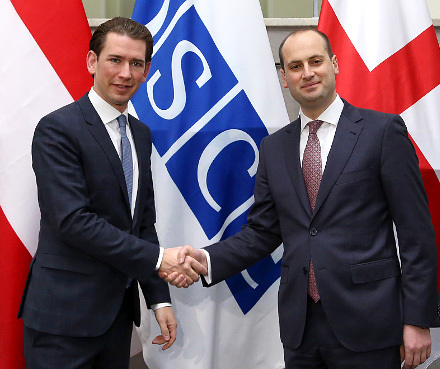 It also stresses that the agreement covers the entire internationally recognized territory of Georgia, including its two breakaway regions of Abkhazia and South Ossetia, both officially recognized by Russia and a few of its close allies. Georgia signed a so-called association agreement with the EU on June 27, 2014, which offers free trade access to the vast European market in return for loyalty to the EU in many policy areas, including foreign and defense policy. In order for the treaty to come into force, all 28 EU member states must ratify it, as well as Georgia and the EU parliament. According to the Georgian Foreign Ministry, ten EU member states have done so: Romania, Bulgaria, Lithuania, Latvia, Malta, Slovakia, Estonia, Hungary, Sweden and Croatia. The Danish parliament plans to ratify it soon. Saakashvili accused the Foreign Ministry of having revoked his diplomatic president’s passport, which he only found out about when he was at the airport. He said by the law, this passport remains his for the rest of his life. But the Foreign Ministry soon rejected this in a short statement which said that Saakashvili’s diplomatic passport is in force and has never been revoked. 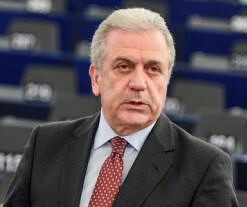 Apart from Saakashvili, the other Georgian politicians attending the EU parliament session in Strasbourg were current Georgian President Giorgi Margvelashvili, one member of parliament each from the Georgian Dream coalition and the Free Democrats, the latter of which recently left the coalition, and Foreign Minister Tamar Beruchashvili. The fact that only the foreign minister attended, not other members of the Georgian government, has been vigorously debated in Tbilisi and by some considered a scandal. 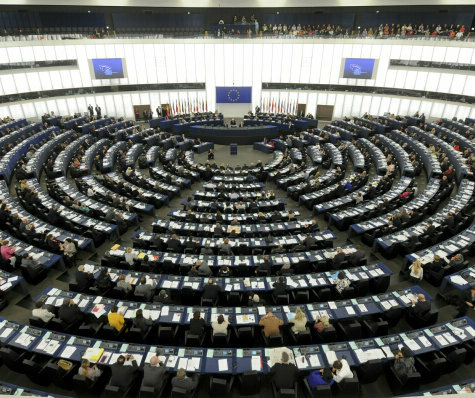 At first, only a few MPs planned to go to Strasbourg and attend the session. The government was then criticized for allegedly skipping an important event for the country. Later it became known that Saakashvili received invitation from the European People’s Party (EPP) and was going to attend, after which President Margvelashvili, who for more than half a year has been in confrontation with the PM and his own political bloc, declared he was also attending the session. Eventually, Foreign Minister Tamar Beruchashvili said she would also go to Strasbourg. The Georgian delegation included Tedo Japaridze, head of the foreign affairs committee in parliament representing the Georgian Dream coalition, and head of the European integration committee Viktor Dolidze from the Free Democrats. Speaker of Parliament Davit Usupashvili did not attend due to health problems. Spokespersons for Georgian Dream expressed dissatisfaction that Saakashvili was invited to the session. 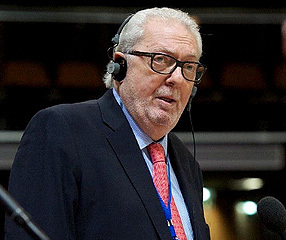 Parliamentary leader of the coalition Giorgi (Gia) Volsky said it is ‘quite unpleasant’ that a person who is ‘far from European values’ was invited. Since at first no government members were planning to attend the session, Volsky commented that this is a parliamentary event, so government members have no right to speak there. 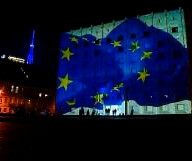 Parliament members, on the other hand, have right to speak in Strasbourg, so they would be attending. Later on Thursday it became known that Margvelashvili was going to attend. Earlier this year there was a confrontation about the issue of who should sign the agreement between Georgia and the EU, the prime minister or the president. Even though the constitution says that it is the president who signs international treaties, the prime minister signed the agreement, and the president wasn’t even part of the Georgian delegation at the signing ceremony in Brussels last June. A few months later, when the Georgian parliament voted to ratify the agreement, the president was not invited to the session, but unexpectedly showed up uninvited.